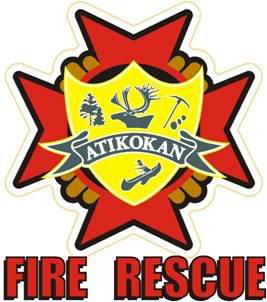 It is the commitment of the Atikokan Fire Rescue to maintain the quality of life in our community by preventing or minimizing injury and loss of life and property from fire or other emergencies by providing protection through EDUCATION, PREVENTION, and SUPPRESSION and other limited life saving services. Under the direction of Fire Chief Graham Warburton and a volunteer force of twenty-four, the primary goal of the Atikokan Fire Rescue is to provide fire protection and rescue service through a range of programs designed to protect the lives and property of the inhabitants from the adverse effects of fire, sudden medical emergencies, or exposure to dangerous conditions created by man or nature. personal apparatus, vehicles and equipment as necessary.